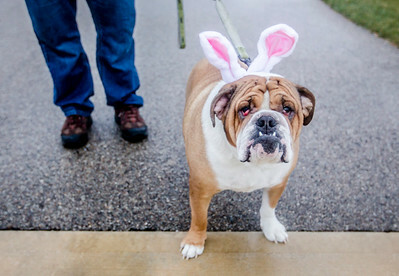 Sarah Nader- snader@shawmedia.com Three-year-old English Bulldog, Scooby Doo, waits in line to see the Easter Bunny while attending the Dog Egg Hunt at Hoffman Park in Cary March 23, 2016. 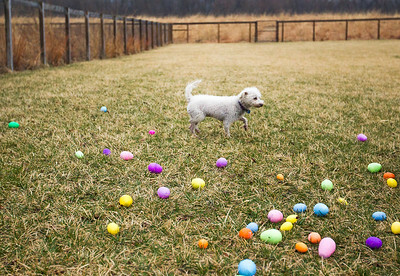 After collecting their eggs the dogs had the chance to take a photo with the Easter Bunny. 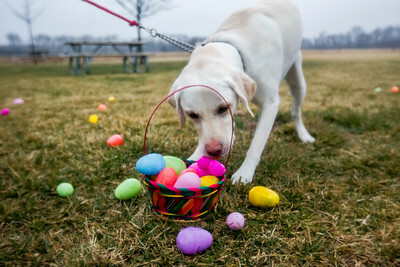 Sarah Nader- snader@shawmedia.com Three-year-old Labrador named Ryder hunts for eggs while attending the Dog Egg Hunt at Hoffman Park in Cary March 23, 2016. After collecting their eggs the dogs had the chance to take a photo with the Easter Bunny. 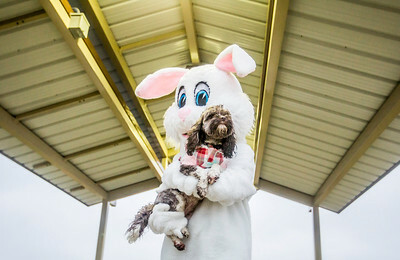 Sarah Nader- snader@shawmedia.com Elsa, 3, gets her photo taken with the Easter Bunny while attending the Dog Egg Hunt at Hoffman Park in Cary March 23, 2016. After collecting their eggs the dogs had the chance to take a photo with the Easter Bunny. 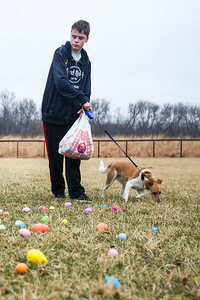 Sarah Nader- snader@shawmedia.com Luke Janik, 14, of Cary and his dog, Leddy, 2, hunt for eggs while attending the Dog Egg Hunt at Hoffman Park in Cary March 23, 2016. After collecting their eggs the dogs had the chance to take a photo with the Easter Bunny. 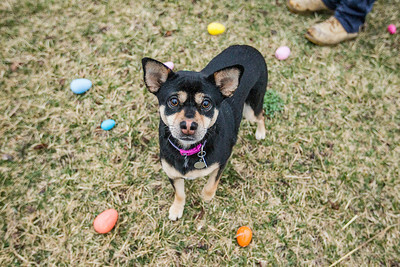 Sarah Nader- snader@shawmedia.com Three-year-old mix, Nina, hunts for eggs while attending the Dog Egg Hunt at Hoffman Park in Cary March 23, 2016. After collecting their eggs the dogs had the chance to take a photo with the Easter Bunny. 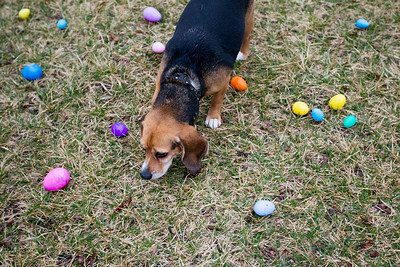 Sarah Nader- snader@shawmedia.com A dog hunts for eggs while attending the Dog Egg Hunt at Hoffman Park in Cary March 23, 2016. After collecting their eggs the dogs had the chance to take a photo with the Easter Bunny. 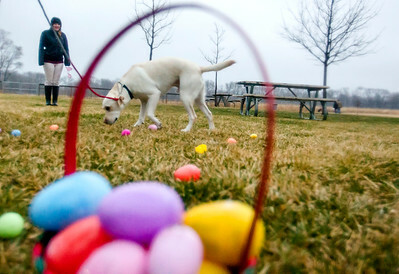 Three-year-old Labrador named Ryder hunts for eggs while attending the Dog Egg Hunt at Hoffman Park in Cary March 23, 2016. After collecting their eggs the dogs had the chance to take a photo with the Easter Bunny.